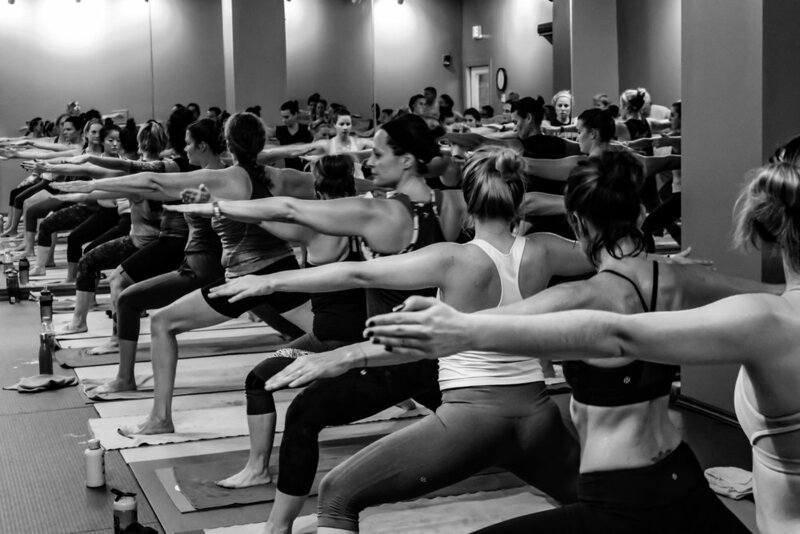 What to wear in hot yoga doesn’t need to take up any more of your time, effort or energy. Here are Lara’s top picks. Once you experience a class or two, no more words are needed. 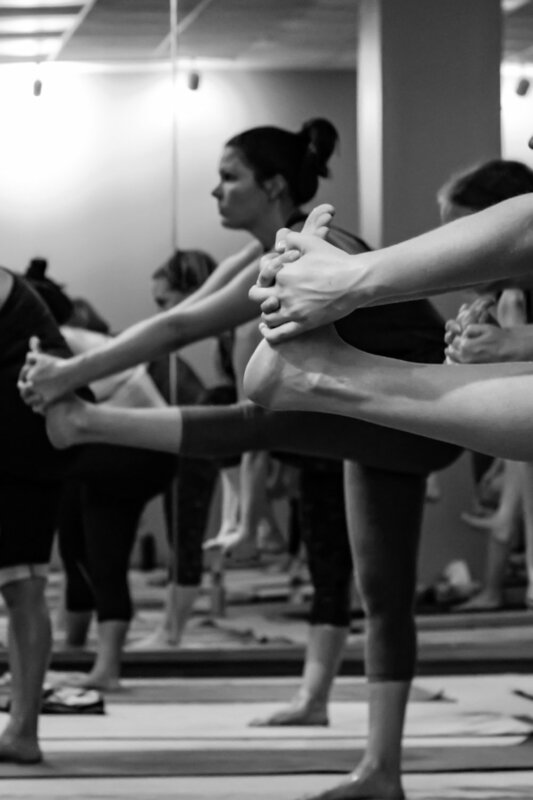 On the outside, hot yoga may seem like an extreme sport. Yes, it can be challenging, but the rewards are far greater than the initial push it takes to step on the mat for your first class. Everybody needs a maintenance plan. A steady routine that keeps you moving forward and feeling human. When we stop moving and become inert, that's when we start to break down. The beauty of a steady yoga practice, especially a heated one - is that it keeps you supple, allows you to maintain access to a healthy range of motion and increases your metabolism. If you have extra weight to lose, it will certainly help you drop a few. 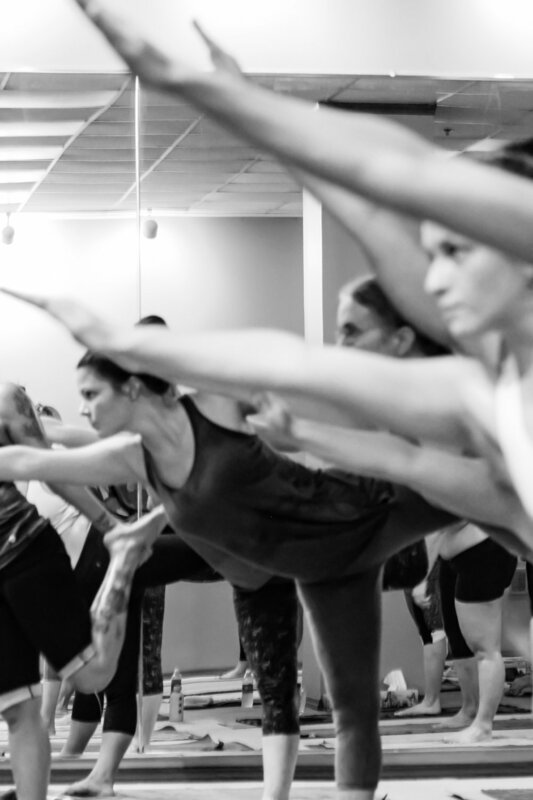 If you struggle with chronic stress or anxiety, hot yoga can help you to ease your symptoms, de-stress and feel more comfortable in your own skin. But how does hot yoga help? Hot yoga works on several levels. The first is obvious, it creates a challenging environment for your nervous system. The added "effort" it requires to thrive in the room, makes you body and mind adapt with more efficiency. Over time, the heat feels normal and you are firing on all cylinders. You become stronger and more resilient to external stressors. This translates to feeling more at peace, focused and productive. Hot yoga stimulates blood circulation to your muscles, joints, organs, glands, and every system of the body—even the nervous system. We follow a therapeutic yoga lineage designed to heal the body bringing you into greater balance. During class, oxygen-rich blood sequentially reaches every organ, including any areas of injury (old and new), and any damaged cells. This class is designed to restore and strengthen, bringing your body and mind into balance and optimal health. With a consistant practice, the better you'll feel and the healthier you'll become. I started my hot yoga practice because I needed to get moving again. I thought I began for physical reasons, but the deeper reasons I discovered are what keeps me on my mat year after year. Through my yoga practice, I first discovered new ways to move my body. Strength and flexibility that seemed totally out of reach for me at my first class soon opened up for me. I still tell my students: "Here in yoga practice, impossible things happen and the impossible becomes possible." I discovered that if I could make such great strides physically with my strength and flexibility and my focus and peace of mind, maybe the obstacles I faced outside of the practice room could be overcome as well. I approached my whole life with more energy, confidence and love. My whole life expanded with new possibilities. Read more about Lara's incredible journey & feel the difference for yourself!